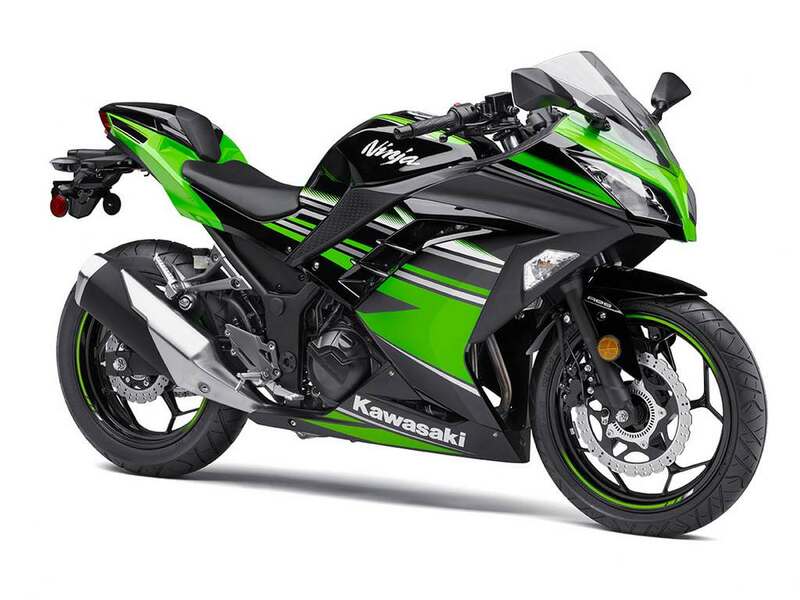 Kawasaki Ninja 300 sits at the forefront of the range of premium bikes available in India. This 300 cc bike comes with advanced Japanese technology and delivers racing gene. The fully faired bike appears sharp and muscular. Priced at Rs. 3,64,866 (ex-showroom, New Delhi), the Kawasaki Ninja 300 catches attention very easily. 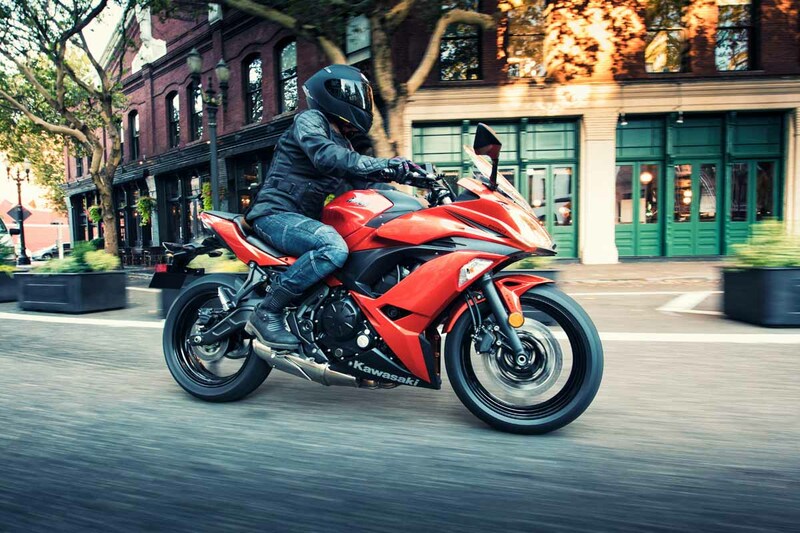 It was launched in October 2013 and arrived as a true successor of the Ninja 250R. In terms of design, the Ninja 300 looks pretty sharp and sculpted looking. It gets sharp looking sleek dual headlamps, a large instrument cluster with analog and digital combo display. The 17-litre capacity fuel tank looks muscular. It gets split seats with the lowered rider seat and stepped up pillion seat. The lowered seat gives the rider better control over the machine. The fairing has been designed to give the bike aerodynamic efficiency. Rear profile of the bike gets narrower and sleek taillight. The machine gun muzzle like exhaust gets chrome plating on it that simply enhances the visual appeal. The signature Lime Green paint scheme along with Black accents make the bike more attractive. Power source for the Kawasaki Ninja 300 is a 296 cc liquid-cooled four-stroke parallel twin engine mated to a 6-speed transmission. This engine churns out 39 PS of peak power at 11,000 rpm and 27 Nm of peak torque at 10,000 rpm. The bike comes with 25 kmpl of fuel efficiency while top speed for this model is 160 kmph. For the braking and suspension duty, the Kawasaki Ninja 300 comes equipped with top-notch equipment. The bike sports 290 mm front disc brake and 220 mm rear disc brake. For suspension duty, the Ninja 300 comes with 37 mm telescopic hydraulic front fork and 5-step adjustable bottom-link uni-track with gas charged shock absorber. It runs on 17-inch alloy wheels wrapped in tubeless tyres.